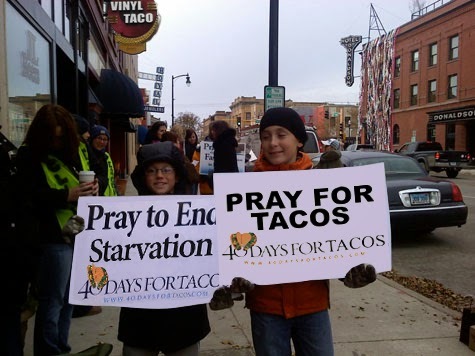 40 Days for Life’s semi-annual prolife campaigns rely on this “ineffective” weapon every spring and fall with prayer, fasting, and peaceful vigils in front of clinics in cities throughout the U.S. and in other countries. 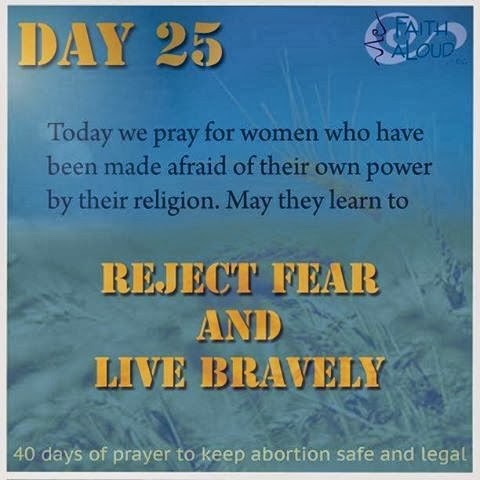 Last spring, in Eureka, California and now again this fall in Fargo, North Dakota, pro-abortion forces are imitating 40 Days for Life by having their own so-called 40 days of prayer for abortion. The same evil that has confused them into thinking that aborting babies is empowering for women, has confused them into thinking that God will answer their horrifying intentions. They are praying for God to support them breaking the Fifth Commandment—Thou Shall Not Kill—to protect the legal destruction of innocent, unborn souls. It is disturbing. In North Dakota, pro-life forces are formidable. 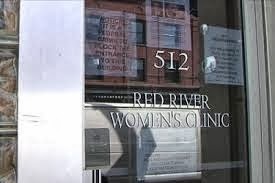 There are no abortionists and only one abortion facility—the Red River Women’s Health Clinic in Fargo. Abortion doctors come from out of state on Wednesdays--usually the only day abortions are done. On that day, across the street from the clinic on the third floor of an office building, is the Visitation Chapel where 8 a.m. Mass is said. 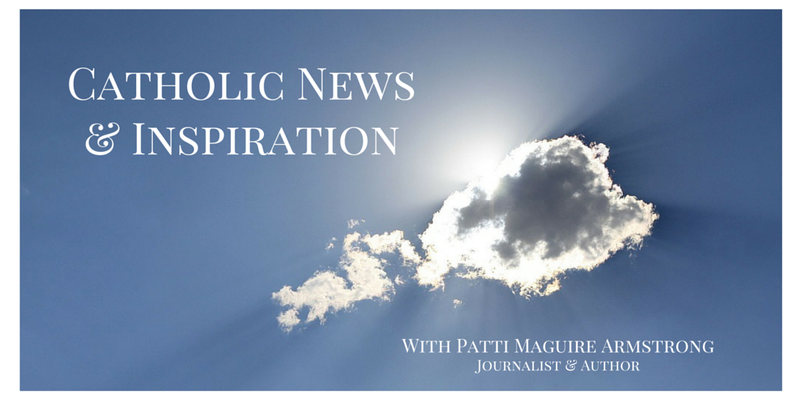 Then, from 8:30 until 4pm-- the time abortions are done--there is Eucharistic adoration. 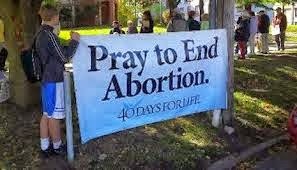 And every fall, in front of the abortion clinic, there is a 24-hour, 40-day prayer vigil as part of the 40 Days for Life campaign to pray to end abortion. There’s no mention of the women who die from legal abortions. Perhaps they don’t know about them since the secular media does not usually report those deaths. And no tears for the aborted babies. My inclination is to ask, Where the hell do they think this prayer is going? But then, the answer to that is in my question. And a flat tire before they reach the clinic. Then a change of heart. 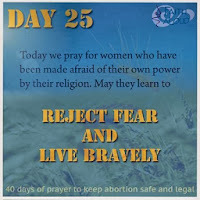 At the end of each daily intention is the message: “40 days of prayer to keep abortion safe and legal.” They apparently have missed recurring news stories such as Dr. Gosnell’s House of Horrors and of women’s deaths from botched abortions and the frequent horrendous conditions and practices that keep ambulance numbers on the clinics’ speed dial. Clearly, 40 Days for Life is making pro-abortion activists uncomfortable. 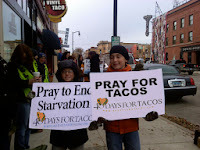 There have been 2,480 total 40 Day campaigns in 501 cities and 19 countries. Although the effects cannot completely be counted, at least 7,536 babies have been verified as saved, 83 workers quit and 40 clinics have closed. Prayer works. I hope that somewhere in this battle for life, between mocking and imitating, that some of the confused will become the converted. They are playing with fire. Only the devil wants to answer their sacrilegeous prayers but only God can answer prayers. So perhaps some will attempt real contact with God and be changed. God has a way of doing that to people. We can pray they will be so blessed. 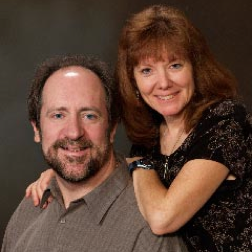 For more inspiration check out: Big Hearted: Inspiring Stories From Everyday Families , a collection of 22 stories, that share a glimpse inside the triumphs, struggles, joys, and sorrows of ordinary families with generous hearts.